For Bord na Móna UK, this year’s Glee showcase is about championing two of the most fundamental product features on every retailer’s mind: responsible sourcing and sustainability. The growing media supplier is at the forefront of environmental studies, from New Product Development (NPD) and research through to packaging and educating the end consumer. 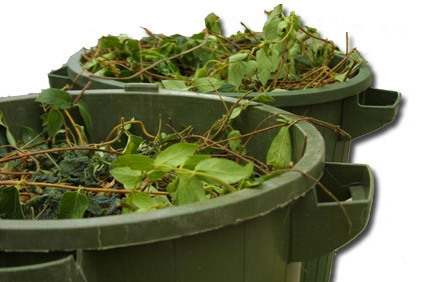 With the largest green waste composting facilities in the UK and Ireland, Bord na Móna UK composts thousands of tonnes of garden waste annually that would otherwise go to landfill – reducing both carbon and methane emissions. Its green waste is combined with forestry by- products and naturally sourced nitrogen, and composted through a closely monitored process. The result is a high-quality ingredient for use as part of the results-driven growing media range. Its award-winning, peat-reduced formulations are based on over 10 years of research, innovation and development, matching sustainable green compost with the superb structure of Irish peat. Bord na Móna UK is committed to excellent responsible practices in peat production, with an ongoing raised bog restoration programme in place. Its policy is to not drain or open any new bogs or peat land, and to fully utilise the remaining resources to best benefit the country and local communities. A popular topic amongst industry members at Glee is the ongoing quest for economic and sustainable packaging solutions for horticulture products – the challenge of which has been an area of research for Bord na Móna UK for a number of years. Commenting on the most recent developments, David Little, Packaging Consultant for Bord na Móna UK, said: “Given the lead times for packaging raw material, as well as the logistical requirements and the outdoor storage times for finished product, horticulture bags have to endure long, harsh conditions. For these reasons, currently available Oxy and Biodegradable type films we’ve looked at are not suitable. Bord na Móna offers peat-reduced and peat-free growing media, soil improvers, barks and fertilisers, and is also the largest own-brand supplier of growing media and barks in the UK and Ireland. The brand has launched its Growing Media Academy and Raw Material Information Guide at Glee, helping to inform visitors on the key ingredients that make up its award-winning products, as well as the brand’s environmental responsibilities and long-standing heritage. To find out more about Bord na Móna and the Bord na Móna Growise range, visit: www.thegreenergardener.com.